An ERP solution equipped with supply chain management functions gives businesses all the logistics tools they need. Enterprise resource planning (ERP) systems were developed to run entire businesses. So it's no surprise that ERP solutions have always addressed supply chain functions. In fact, the first ERP systems, which emerged in the late 1980s, often included distribution, inventory management, and transportation modules. For rich, robust supply chain management (SCM) functions, however, many large companies have turned to vendors that specialize in supply chain planning, execution, or both. Often, users have built interfaces to move data between these "point solutions" and the ERP packages that manage functions such as manufacturing, sales, finance, and human resources. 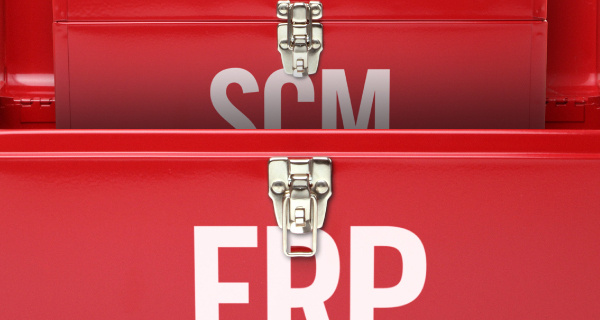 In their desire to serve up suites that meet more needs, ERP vendors have begun adding full SCM systems to their portfolios. They intend these solutions to provide everything a company might find in a best-of-breed SCM package.